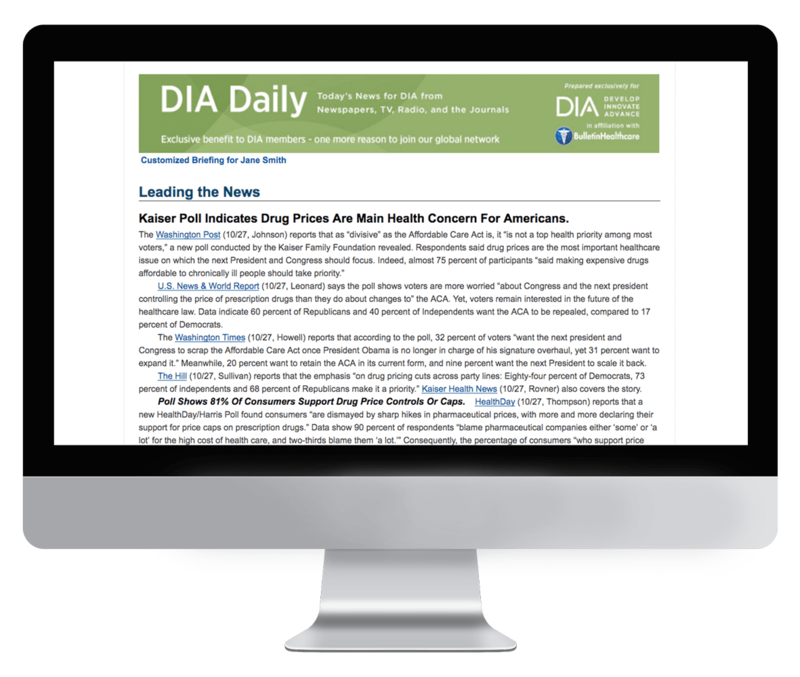 DIA Daily is an exclusive member benefit that ensures readers are informed on relevant issues affecting the drug industry. Sections in the briefing include: Drug Updates, Drug Research, Quality and Safety, Regulatory Affairs, Technology, and Business of Medicine. DIA provides professionals at all levels and across all disciplines access to timely and authoritative information to advance careers, skills, and innovation in the pharmaceutical, biotechnology, medical device, and related fields. Subscription to DIA Daily is exclusively limited to DIA members. If you are a member of DIA and would like to receive this briefing, please reach out to the association directly.